As far as I can remember, nothing very new has happened in Bulgaria for years, although many might not agree this to be so. Nevertheless, if over time one had piled up all the newspapers and learned magazines read since the political changes in 1990, I think that the garage would be too full to accommodate your nice new car, or the guest bedroom would have become totally uninhabitable. The question remains, during that time, has anything of national importance fundamentally changed? Short of any interest in microeconomics, my answer would be no! And it seems to me, that the Bulgarian press has had so few subjects of consequence to occupy its attention, that over the years – from the sunny climes of Greece, where I now reside – it seems surprising, that so much paper has actually been consumed, or – as reality dictates –hot air exhaled? However, of the few issues of interest, there is presently one very important item on the Bulgarian agenda - which is often repeated - and is personified by the recent debate concerning the future of Irina Bokova as the leader of the United Nations, and an argument about people - with connections to the old communist regime - being allowed to prosper or hold public office. Repeatedly referred to as having been an agent of the Ministry of the Interior, surely what they really mean, is part of the old communist structure. Is this not simply an over amplification of this perennial political question, or does it reflect a fundamental deficit in the Bulgarian character? Many years ago, a renowned expat British Sofia resident said to me: “In Bulgaria, there is only one thing worse than being a failure, and that is to be a success!” So, the question is, whether the angst caused by Bokova’s shot at world leadership is really over the hopelessly flawed past communist regime, or something slightly more sinister? 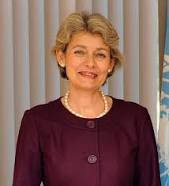 Bokova’s innate ability to manage events on a worldwide scale is indisputable, and she has undoubtedly helped to shoehorn Palestine into the folds of the UN, as well as protecting the cultural integrity of certain Palestinian heritage sites. Whilst this may have annoyed the Israeli and the American governments, it has certainly placed her on the international map, not necessarily as a Bulgarian, but as a world player. But, does she stand a chance of winning the upcoming UN election? With the continuing angst of the US and their client state of Israel, probably not. But why do Bulgarians, from one of the most unsuccessful of countries in the EU, continue to have this bitter feud with the past. Many ex-communist families have been almost forgotten by now, and the vast majority of the old contemptibles, are dead. Their children live on, often in isolation, or running small businesses, and are generally left alone. This is because they don’t matter anymore and usually share the same challenging reality, as the rest of the Bulgarian middle class. So, why pick on Bokova? From outside the goldfish bowl and looking in, one can understand the frustration of goldfish swimming around in circles, whilst looking out at the rest of the world with envy. So, I suppose, it is a matter of perspective. To pillory someone, who is an undoubted success, who happens to be a Bulgarian is absurd, because Irina Bokova’s position on the international stage, should be cause for rejoicing, especially when one considers her often corrupt competition! Would you like to see one of these self seeking ‘baldies,’running the United Nations? No thanks, you’d be dead in a week!